7 March 2017 by . So, brothers and sisters, we wonder what the spirit of man is and where it is. We will listen to the words St. Raphael addressed to us in the book “In the Mind of God” on page 35: “The essence of man, his most profound identity resides in his spirit, in the nucleus at the center of the soul where the divine Guest lives, the Holy Spirit. The spirit is the most sacred place in man.” Thus, you see, this is something that we often do not keep in mind enough; we speak about the soul and very rarely about the spirit; yet, the spirit is the most sacred place, the center of the soul, which may be called the soul of the soul, where the Holy Spirit acts, lives, wants to be present in us to give us all impulses and the whole life of God, His love and His power. Father Tomislav: I would like to summarise our pathway up to the feast of the Most Holy Trinity. Lent has just begun on the first Sunday with the test of Jesus. Jesus, full of the Holy Spirit, chased Satan away. At the culmination of Lent we will contemplate the Son of God on the Cross stripped of all, stripped of Himself, offering Himself saying His the last words to the Father: “Father, into your hands I commit my spirit.” Then Jesus is put in the sepulchre and, by the power of the Holy Spirit, He resurrects. We continue on our Easter pathway and at Pentecost, those who will have participated in Easter, that is, in the passage of Jesus Christ, will be filled with the power of the Holy Spirit; and a step further the ones who will be filled with the power of the Holy Spirit and live in the Trinitarian Spirit will form a real Christian community. Thus, we will be celebrating the greatest mystery of the Most Holy Trinity. We are living in the time in which the Antichrist and his spirit are present. As we have heard, Jesus defeated Satan as He was full of the Holy Spirit. The true Christians and the new communities who join the plan of God for the sake of the whole universe will be powerfully filled with the Holy Spirit and will act in fullness. 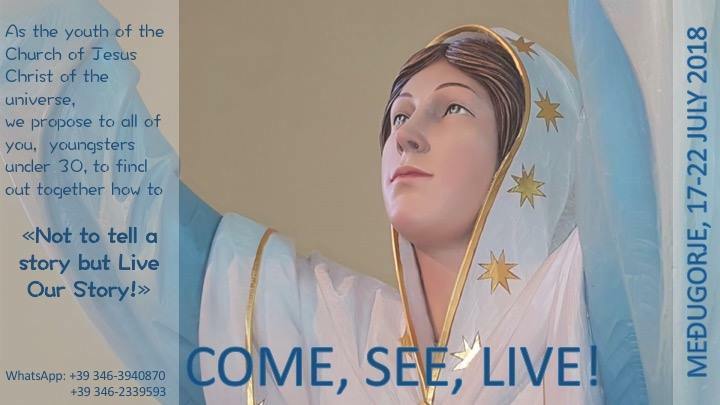 Thus we invite all those who want to walk the path with us to live this liturgical time inside their heart and to understand this reflection of ours in order to move forward towards the fullness in the Holy Spirit. Father Tomislav: We will use a simple image: every seed of a plant or any living being contains in itself its identity and mission; thus in the centre of our soul, in the spirit, our identity is contained and our mission. If we participate submitted to the laws of the Holy Spirit guided by the Holy Spirit, then our whole being will be focused on the project of our identity and mission and develop it within us. When a soul is clean and collaborating, the Word of God, every grace that descends in spirit is omnipotent; it holds inside all the divine power because the Trinitarian Spirit will be acting in favour of each one of us. The spirit of man in the soul is, we may say, an inner sanctuary where the Most Holy Trinity is worshipped and whose action is expressed through us. The action of God in our spirit is unconditioned and if our soul bends, it becomes the servant of the Lord absorbing all potentials from the Spirit of God who is in the spirit of man. Stefania Caterina: There is another important point which is that the likeness of God is impressed in the spirit of man. You know that we are created in the image and likeness of God, but it has been explained that while the image is impressed in the soul the likeness is impressed in the spirit; yet, what is the likeness? Likeness is the ability to act the way God acts. In fact, St. Raphael also tells us in the book “In the Mind of God” on page 36, that “in the spirit of man the divine nature of man is expressed, his likeness of God that leads him to understand and act in the same way as God”, which means that man has the potential to act in a similar way to God and not in a different way. We are certainly not God, but we can act in a similar way in accordance with the example of His work. God expresses all His power both of being and acting through the three prerogatives that belong to God and which are love, strength and intelligence, and our spirit has them too. St. Let us return to St. Paul, this time to the second letter to Timothy, chapter 1, verse 7: «For the Spirit God gave us does not make us timid, but gives us power, love and self-discipline.» You may see that here the three prerogatives of God are again mentioned which means that in his action man can make use of the same prerogatives, starting off from that strength, love and intelligence that God has placed in his spirit in the likeness of His action. Father Tomislav: The growth of man starts from the spirit that is in him. Certainly, the man who believes in Jesus Christ ought to be open to the Spirit of God that acts in him and that puts the impulses into practice if the soul collaborates, if the soul incarnates the graces received. At the same time, lies the development of the whole universe herein. From this point the recapitulation of the whole universe in Christ begins; here the horizons open up for all creatures, and all will be involved by the power of the Holy Spirit by means of Jesus Christ, Son of God and man. Thus, here you see how the man who is guided by the Holy Spirit in his spirit becomes what St. Paul calls “the spiritual man”, the man who does not set off from his egoism, from his head, from his mind, but from the mind of God that is inside him; from the Holy Spirit that passes on to him the divine thought. And at this point, man, who has the likeness of God in his spirit and who is able to act similarly to God, becomes also capable of governing the creatures; he governs his life according to the laws of God; he governs the creatures according to the laws of God. And creation recognises in the spiritual man the voice of the Creator and the image that is placed in him; creation loves man and man also loves the creatures, all of them, from man to the smallest of all animals and plants. We have a great example of this in St. Francis of Assisi. He loved all creatures and all creatures loved him because in him they could recognise the voice of the Creator, and this must happen for all of us. All of us have to relate to each other and the whole creation by starting from this power that is in us and from the likeness of God. Padre Tomislav: Let us take a look at our future and the future of the universe, obviously starting from the spirit. The liturgy of next Sunday proposes two figures: the first figure is Abraham. God asked Abraham to leave his own land; yet, it is not only about leaving the land but about separating from a way of thinking; he left behind his way of thinking. I recommend you to read the Holy Scriptures; those who have “The Universe and Its Inhabitants” shall read what has been explained by the Holy Spirit; it is very important. Abraham stripped himself of all, followed the voice of God within him acting against all human logic. God promised Abraham a son, Isaac, and promised his heritage through Isaac. Abraham and Sarah, his wife, were old when God put them to the test; He asked Abraham to sacrifice his future. Abraham set off with confidence against all hope, and thus in him life exploded, for God never cancels His promises but opens new horizons through the open spirit; He filled him with blessings and filled with blessings all generations to come on Abraham’s path. Israel followed Abraham’s path; Moses led the people to the Promised Land; yet, he too looked beyond; all prophets looked beyond and paved the way for Jesus Christ. And there we find the second figure of the second Sunday of Lent: Jesus Christ transfigured; the image of the new man is presented to us, the spiritual man who will emerge at the end of times. Jesus Christ has given all men and all creatures an view on the promise of the new creation, of new heavens and a new Earth. Thus, you see, our passage is this very faith in the guidance of God, in the work of the Most Holy Trinity inside us that goes beyond all logic and human thinking. This is not fanaticism; we are not running away from reality; rather, the spirit will widen up within us, we will see our future and move towards our future. So, brothers and sisters, we hope that you will try to participate in the issues we are developing. We offer ourselves for you, we pray for you and the whole universe prays for you so that you may reach the participation in the cosmic Pentecost when all the children of God, filled with the Holy Spirit, will be transformed through Jesus Christ. I bless you; may these words act in each one of you with the power of the Holy Spirit as it occurred to Abraham, all saints and all righteous; may each one of you and the new people of the Earth and the universe be focused on the marvellous times announced by Our Lady. I bless you in the name of the Father, of the Son and of the Holy Spirit. From the book „Riscrivere la storia – vol.I – Nel pensiero di Dio“, Publisher Luci dell’Esodo (Rewriting History – Vol. I – In the Mind of God) not available in English yet. Cfr. “Riscrivere la storia – vol.II – L’Universo e i suoi abitanti”, Publisher Luci dell’Esodo, chap. 16-19 (Rewriting History – Vol. 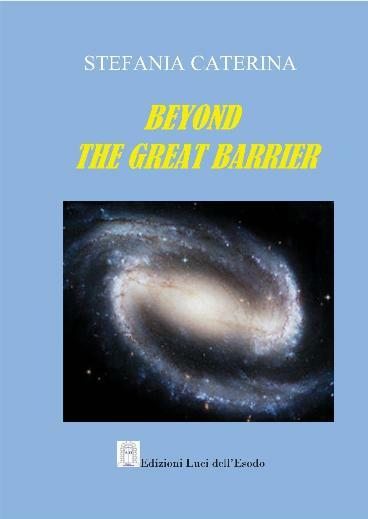 I – The Universe and Its Inhabitants) not available in English yet.